Keeps your rod off the ice and at an easy arm's reach. 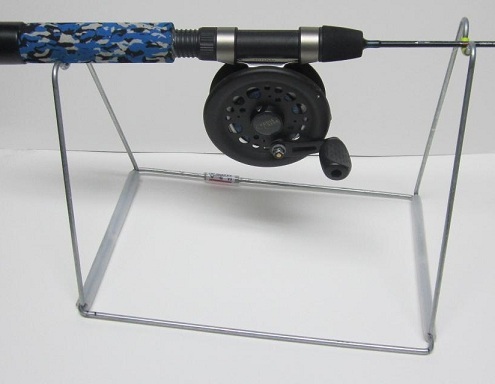 Adjustable to fit most rod and reel combos or reel-less rods. Use inside ice tents or outside on the ice. 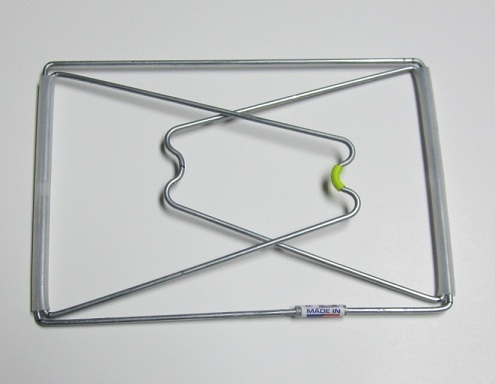 10" Tall | Base 7" x 10"
This ice rod holder is made of galvanized steel that will not rust. It will support your rod and real off of the ice to help you see a better bite. Set the holder to the right size by carefully unfolding the supports. This will make the unit longer or shorter, for rods of different sizes. Adjust the holder until the rod and reel lift off quickly and easily for fast hook sets. When you are done fishing, fold the supports down flat for easy space saving storage. Great for holding your rod during any season.